How to autoimport results from instruments? SENAITE can be configured to automatically import results files generated by instruments at regular intervals of time, without human intervention. For instance, let’s say you want to automatically import the results generated by Agilent MassHunter, for which there is already an import interface for quantitative reuslts available in SENAITE. 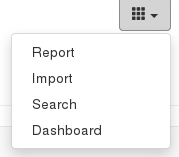 Two sections are displayed at the bottom of the edit view: “Import Data Interface” and “Results file folders”. Stop the instance, run bin/buildout and start the instance again. Each time the system founds a new result file will try to import and log the action in “Import > Auto Import Instrument Results”.